WASHINGTON — Special counsel Robert Mueller had two key questions before him: Did the Trump campaign collude with the Russian government during the 2016 election, and did President Donald Trump commit obstruction of justice? On the collusion question, Mueller provided an unambiguous “no.” But on obstruction, he punted. It’s a decision that’s puzzled some former Justice Department officials who say prosecutors at Mueller’s level typically make their own charging recommendations rather than leave them to higher-ups. 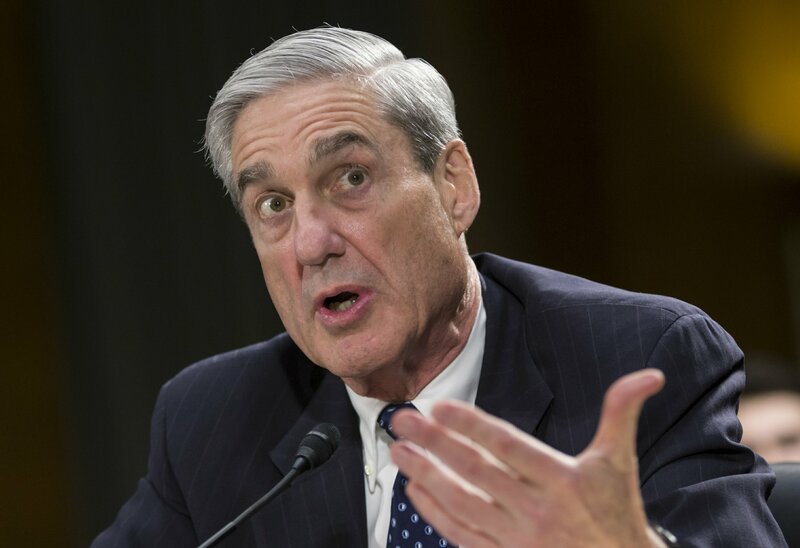 By not acting, Mueller left the politically charged obstruction question in the hands of a Trump appointee, Attorney General William Barr, who even before he took office expressed skepticism about whether the president’s action constituted a crime. On Sunday, Barr said there was insufficient evidence Trump obstructed justice by trying to interfere with Mueller’s probe. Barr’s decision to exonerate Trump on the obstruction issue — when Mueller pointedly didn’t — is being cited by Democrats as they press for the release of Mueller’s entire report. It is likely to revive scrutiny of the attorney general’s own views on obstruction and presidential power, which he shared with the White House before his nomination in December. Among those unusual circumstances: Justice Department legal opinions say sitting presidents cannot be indicted. Barr said he and his deputy, Rod Rosenstein, did not consider that fact in concluding that Trump didn’t obstruct justice, but it’s not clear whether Mueller had. Obstruction of justice also requires proof of criminal intent, which may have been hard for prosecutors to establish without an in-person interview with Trump. Washington defense lawyer Jacob Frenkel said the evidence “was sufficiently ambiguous on the issue of criminal intent.” Combining that with the department’s policy against prosecuting a sitting president, Frenkel noted that a more definitive finding “may satisfy political pundits and the public but may not serve a true Department of Justice interest” in determining whether or not to pursue charges. Mueller’s team told Barr and Rosenstein about three weeks ago that it would not reach a conclusion on obstruction, according to a Justice Department official who said the decision was unexpected. The official, who spoke on condition of anonymity Monday to discuss private conversations, would not say whether Mueller had asked or invited Barr to substitute his own judgment. Rosenstein had been heavily involved in the investigation since appointing Mueller as special counsel in May 2017. Barr’s decision to weigh in on the obstruction issue is noteworthy because of an unsolicited memo he sent in June to the Justice Department and shared with White House lawyers, making known his views on obstruction and presidential power. He criticized the theory of obstruction that Mueller appeared to be pursuing as “fatally misconceived,” including scrutiny of the president’s firing of former FBI director James Comey. Barr argued that if Mueller concluded actions the president is generally legally permitted to do could constitute obstruction because of a subjective determination that they were done with corrupt intent, the decision could be disastrous for the presidency and the Justice Department. Barr defended the memo during his confirmation hearing in January, saying it was narrowly focused on a single theory of obstruction that media reports suggested Mueller might be considering. Responding to lawmakers’ questions, Barr said he believed a president can commit obstruction by destroying evidence or tampering with witnesses. The obstruction question had long been central to Mueller’s investigation. Prosecutors examined a series of actions by the president, including his firing of Comey and his drafting of an incomplete explanation about his son’s meeting with a Russian lawyer, to determine whether Trump had tried to hamper the inquiry. Barr’s four-page summary to Congress on Sunday did not explain why Mueller failed to reach a conclusion on obstruction. Mueller was not involved in drafting the document. The summary did say the special counsel’s report “sets out evidence on both sides of the question and leaves unresolved what the special counsel views as ‘difficult issues of law and facts’ concerning whether the president’s actions and intent could be viewed as obstruction.” Mueller said in his report that he had not concluded whether the president had committed a crime, according to Barr’s summary. Mueller’s insinuation that there were actions that troubled his team left Democrats asking whether Trump’s behavior had been effectively whitewashed.